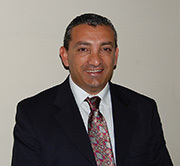 Franco started his experience with a local Real Estate Agency. Throughout the whole time he worked for the agency, Franco noticed many things that he did not like and that made him uncomfortable but he had to live with them because those where the agency's policies. Among them, the most complaint he heard every day from the clients was about the minimum 6 % commission they had to pay once the sale takes place. For example, let us say one has a Terraced House for sale at €300,000 – the minimum commission due on that is €18,000 the price value for a brand new good quality car. Another thing that made Franco very uncomfortable too, is that as a property negotiator he had to call on customers (in this case the owners) and ask them to put their property on the agency's books because the agency have a retired American engineer or an Italian wine maker or an Arabian sheik etc. etc. that is looking for a property like theirs. If the customer accepts, then he had to go and meet the customer to put his property on the agency's books, and after he is finished, the customer with all the right asks the most natural question. WHEN ARE YOU GOING TO BRING YOUR ARABIAN SHEIK TO SEE MY PROPERTY ? I leave it to your imagination what would you want to do if you find yourself in a situation like this. But Franco loves his job, it is of great satisfaction helping people to buy or sell their property because people really need a lot of help when they need to go through this process. So he decided to form Franco Homes Real Estate Services at 1% commission only. Giving the best good and honest service possible to both buyers and sellers. © Copyright Franco Homes Malta. All Rights Reserved.